Concerned parents want to protect their kids and if there are reasons to believe that your kids are not telling you the truth, you may want to find out in any possible way. Checking text messages may allow you to discover if your kids are being contacted by people who could put them in danger. When it comes to spying on a mobile phone, there are different options available. The majority of solutions require you to install software on the phone that you want to spy on. There are many applications that give you the possibility of monitoring mobile devices. Most of these applications work in stealth mode, meaning that they can’t be detected. The most advanced options allow you to access a great deal of information, including IM chats and browsing history. You can even track the location of the device and listen to calls. The most effective spy applications require a subscription and if you want an advanced solution, you need to be prepared to pay a high price. If you can’t afford a spy app and only need to monitor basic aspects of the device, there is an alternative. You can use a SIM card reader to check text messages, contacts and other data stored on it. While this solution is not 100% effective, if you can’t or don’t want to pay for a spy app, it is something that is worth trying. You can get a cheap SIM card and use it to recover text messages and other data on the target person. Keep in mind that this only works with Android phones and you need to have access to the SIM card, but this may not be enough to access all the information you need. For instance, the text messages that you want to read could be deleted from the SIM, even before you can get access to it. In addition, it should be noted that using a SIM card to spy on text messages is a method that only works to recover SMS messages stored on the SIM. You won’t be able to access conversations on popular apps like Viber, WhatsApp or Facebook Messenger. Spy software would be a better option if you need to check activity on those apps or other commonly used options like Snapchat and Instagram. Still, the SIM card method is worth trying and at least, it will give you access to some important data that is worth checking out. Below you will find the steps that you need to follow. The first thing you need to do is to switch off the Android smartphone. Remove the SIM card and then insert it into the SIM card reader. Plug the SIM card reader into the USB port on your computer. 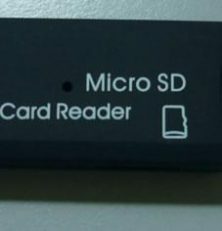 If the SIM card reader comes with a software CD or DVD, install it on your computer. This will allow you to recover any of the text messages stored from the SIM and save them to your computer so that you can check them later. While this method is not as advanced and effective as using a mobile spy application, using a SIM card reader allows you to check some data. They can be a practical and affordable solutions to find out if your kids are at risk.